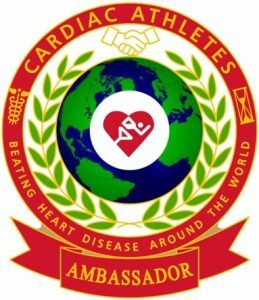 Below is a list of all Cardiac Athlete Ambassadors. By clicking on their names you will be taken to a page explaining all they have achieved as Cardiac Athletes and as CA Ambassadors. To find out how you can become an Ambassador for Cardiac Athletes go to the main CA website and under the tab menu “About ” you will see an option titled “CA Ambassador Project”. Click on that.